It’s been four years since his last studio project The One in 2012, now four-time Grammy nominated R&B Star Eric Benét announces that he’s wrapped his eighth studio album, set to release this fall. Today, Benét reveals the new single artwork and gives fans the opportunity to experience “Sunshine” with a snippet of the lead track. “Sunshine” is a smooth summer groove, featuring Benét’s captivating classic falsettos. 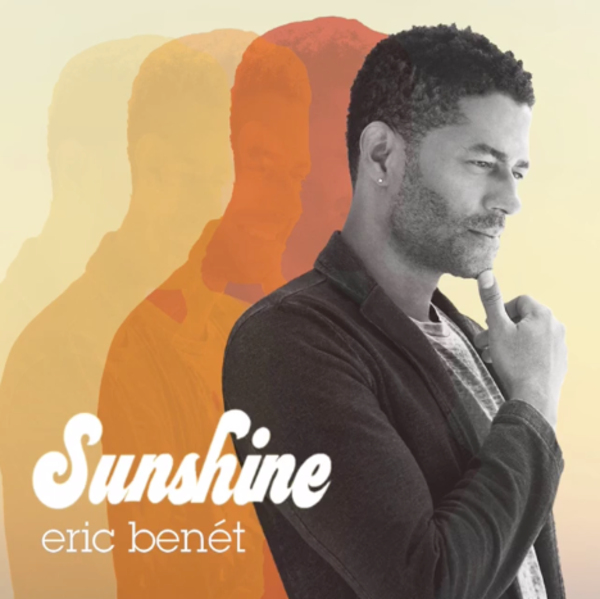 The album’s lead single, “Sunshine” will be available for download on Friday, May 13, along with a studio performance video for the song that features his oldest daughter, India Benét. Fans are invited to join in the discussion about his new single by tagging Eric and adding the phrase: Ready for #SUNSHINE, along with images of the sun or other #SUNSHINE-inspired images, in posts on their social sites. Eric will “like,” retweet and repost his favorite fan posts.